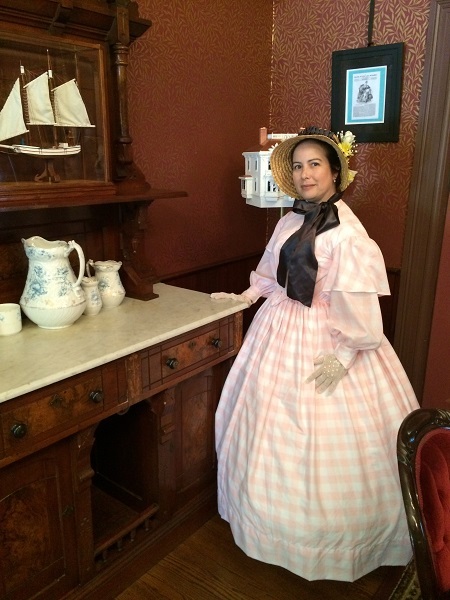 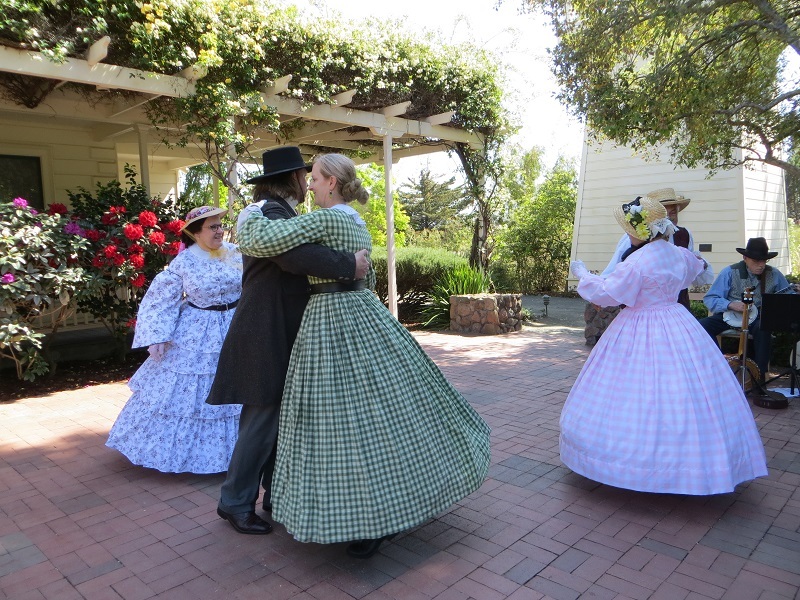 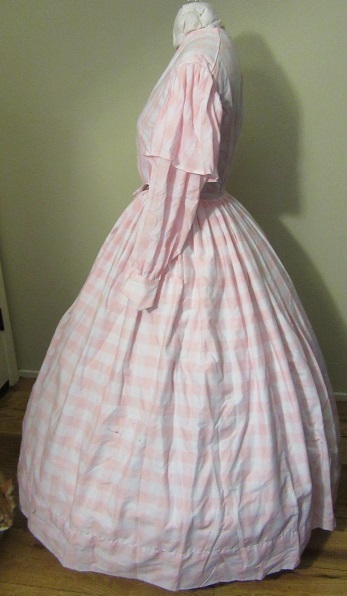 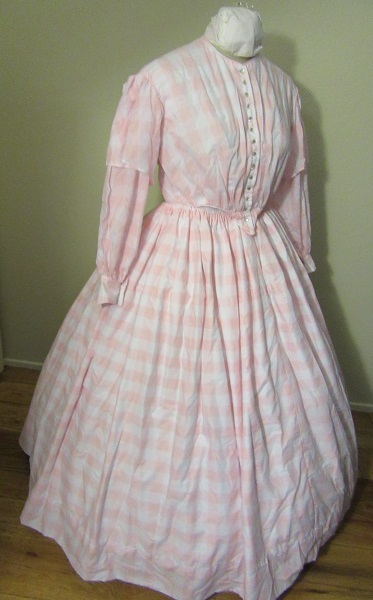 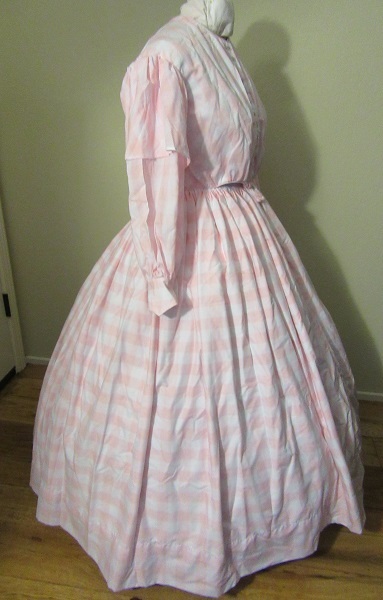 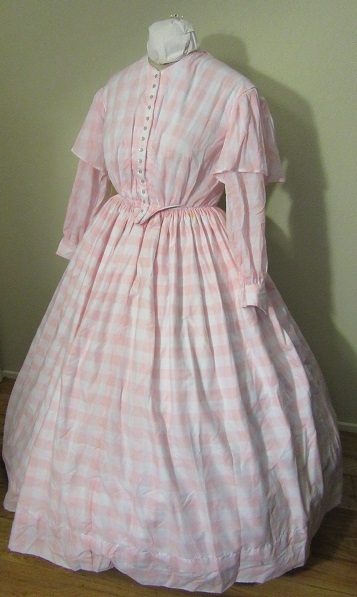 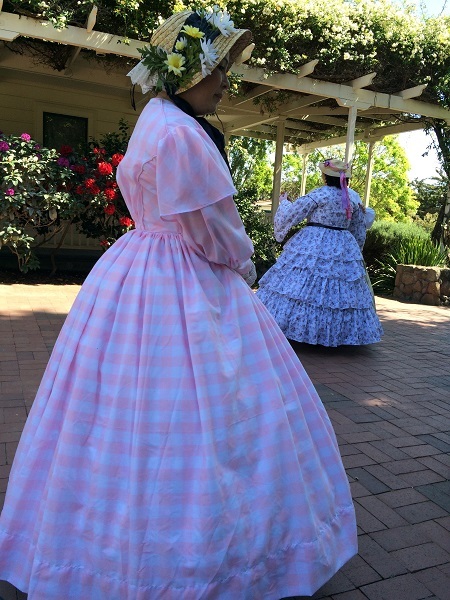 Reproduction Victorian sheer summer day dress worn to a GBACG BBQ at Rengstorff picnic in April 2015. 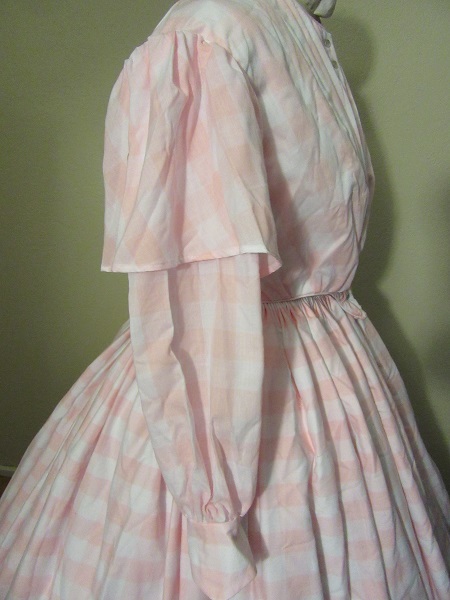 Made similar to a smaller peach sheer dress. 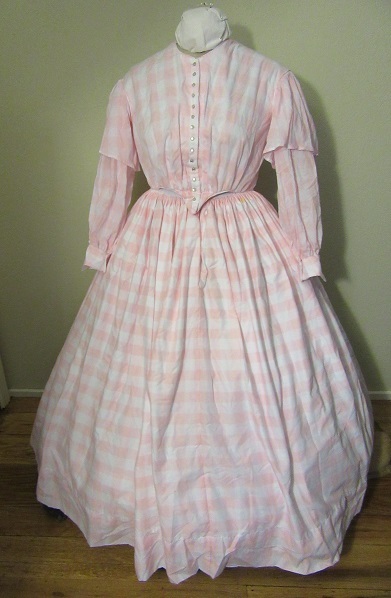 Buttons up the front. 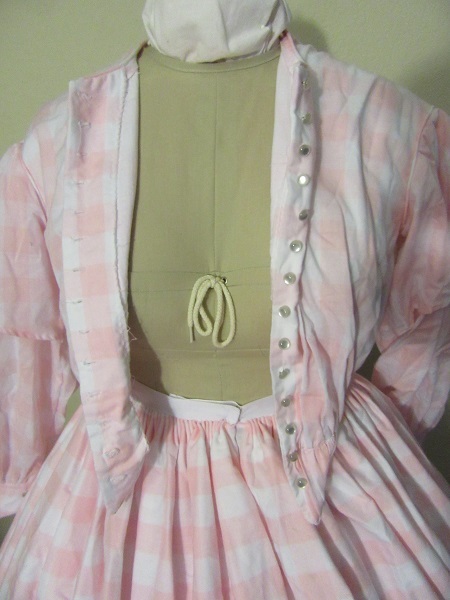 Bodice sewn to grossgrain waistband that has hooks and eyes. 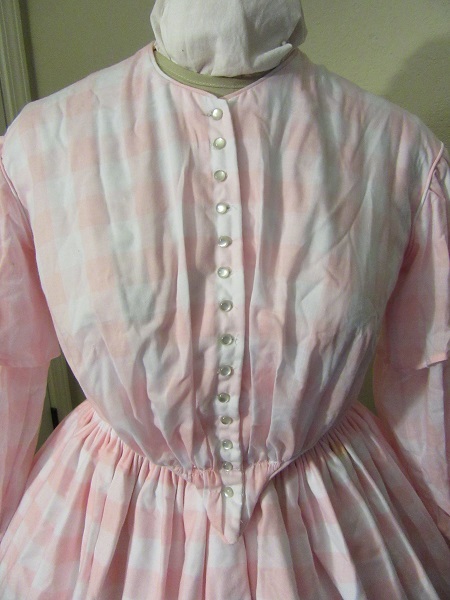 White and pink poly/cotton sheer bodice gathered over white muslin lining has dropped shoulders, long sheer sleeves with buttoned cuffs, and upper sleeve cap. 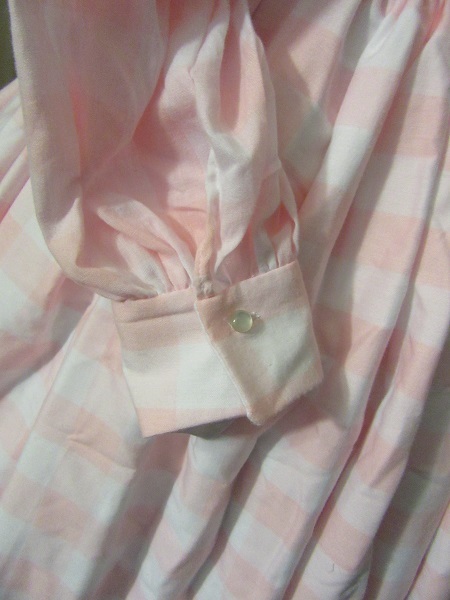 Skirt and lining cartridge pleated to waistband. 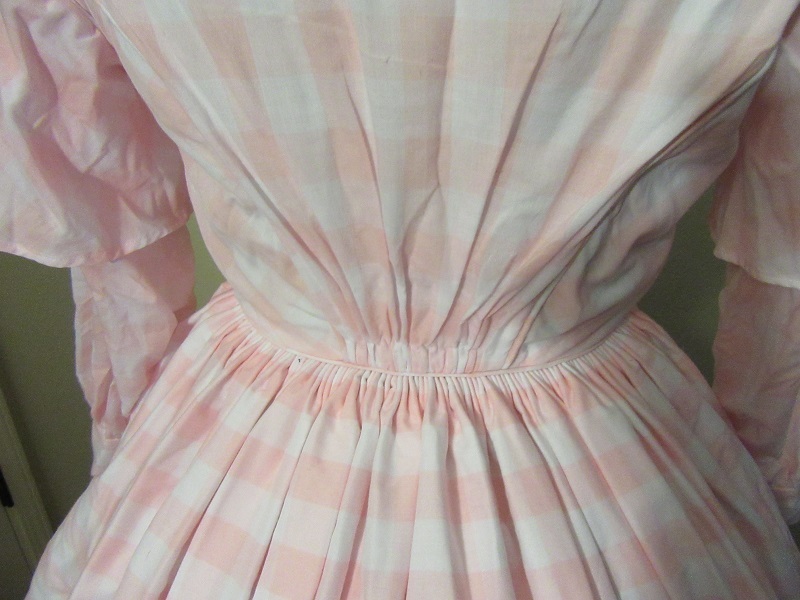 Piping on bodice seams. 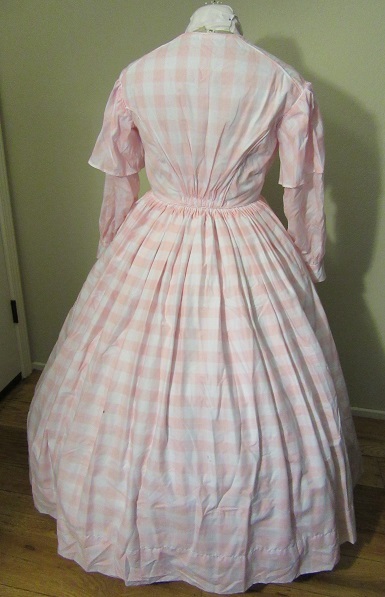 Neck to cuff hem: 27.5"
Waist to hem front: 36.5"
Waist to hem back: 38"